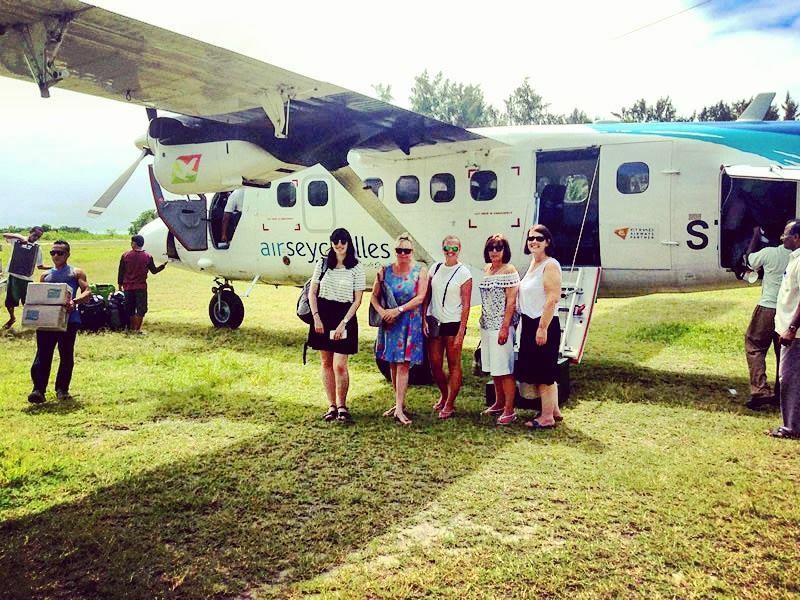 Our content creator Hazel recently went on a trip to the Seychelles with some of our sales team, spending the week hopping between islands and enjoying the sunshine (much warmer than a typical English summer!). Here’s a few of her favourite parts of the trip, and her recommendations for if you’re hoping to escape to the Seychelles’ tropical landscapes yourself. 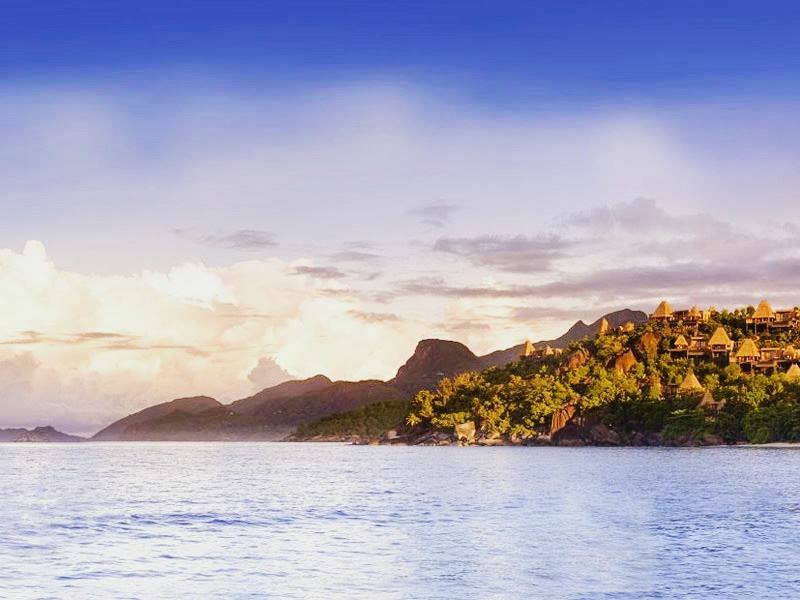 Located in the gorgeous, topaz blue waters of the Indian Ocean, the 115 islands that make up the Seychelles are undeniably spectacular, and certainly worth a trip of a lifetime. With so many stunning beaches and the enviable tropical weather, it’s no wonder so many are beckoned to these islands – who could resist a holiday in paradise? Of course, the sunbathing and barefoot luxury is worth the journey, but my recent trip to the Seychelles taught me that there’s certainly more than meets the eye. From beautiful wildlife, to fun recreation, here are a few things you won’t want to miss if you decide to witness the Seychelles’ natural beauty. The indigenous flora and fauna here is unlike anything I’ve seen before – luscious jungle-clad mountains, rare coconut trees, stunning birdlife, powdery white sands – the landscapes are beautiful. Before I even arrived to the islands I had convinced myself that the water just can’t be that blue, it must be photoshopped – but low and behold, the Indian Ocean really is that gorgeous azure colour. That’s why snorkelling and scuba diving is such a popular activity in the Seychelles – the crystal clear shallows offer the perfect terrain for spotting the Seychelles’ myriad of marine life, including turtles, rays, tropical fish and reef sharks. Believe me, you really won’t want to miss witnessing the world beneath the Seychelles’ shores, and many of the hotels dotted around the islands offer wonderful excursions so you can swim with the fishes. Maia, a luxurious hotel in Mahé, even lets you learn to dive in your own infinity pool – and the stellar views from each villa certainly makes this a worthwhile activity. If you fancy discovering more about the Seychelles’ indigenous nature, Vallee de Mai is well worth a visit. At around 23 euros it’s quite expensive, but if you’re a nature lover like I am, you’ll enjoy walking through and finding out about the fascinating flora and fauna. Be sure to get yourself a guide, either privately or at the site, so they can teach you all about the erotically shaped Coco de Mer nut - a rare and protected species endemic to the islands of Praslin and Curieuse. I was tempted to take one home – but turns out you need an export permit, and at 30kg a nut, I’d have needed more baggage allowance. The largest seed in the world, Vallee de Mai is one of the best places to get up close to this rare nut, and marvel at the towering palms that grow them. Many believe that this could be the original site of the Garden of Eden, and the surroundings are truly spectacular – huge trees twist high up in the sky, with rare black parrots fluttering in between the palms. We were lucky enough to spot three swooping neck-achingly high in the trees! On the subject of birds – the Seychelles are full of unbelievably beautiful birdlife. The fairy tern was definitely my favourite to spot – they have pristine white feathers and adorable features. We were also able to see Seychelles Paradise-Flycatchers, with their incredible, long tail of black feathers, Seychelles Magpie Robins, their jet black feathers contrasted with a white stripe, and the Seychelles Blue Pigeons with their crimson red heads. Aride Island is one of the most popular places to see these magnificent birds – this lush nature reserve is well known as the Seychelles’ finest seabird island, and is home to 18 species of native bird - five of which can only be found in the Seychelles. We didn’t get a chance to visit this spectacular island, but no matter which inner island you go to, you’ll be sure to see at least one of these unique animals - Denis Island and Praslin were inundated with pretty fairy terns and Seychelles Blue Pigeons. Don’t forget the wildlife on land though – especially the giant tortoises. Roaming around on most of the inner islands, these magnificent animals are very popular amongst anyone who meets them - their hard shells are gigantic, and you’d be surprised at how fast they can walk if they think you have food. You may have heard of Esmeralda, a well-known 170 something year old tortoise who wanders around Bird Island. He’s certainly a common tortoise to visit – but we managed to meet the utterly charming 118 year old Toby instead, who resides on the luscious Denis Island. 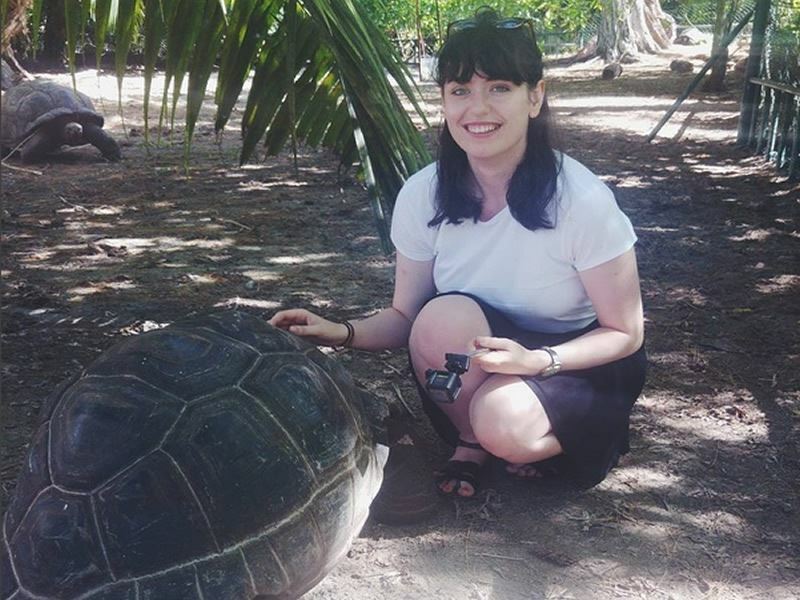 The hotel here offers a fantastic nature tour around the whole of the island, including a visit to the giant tortoise pen to teach travellers more about their history and personalities – you won’t want to miss it. Many of the hotels in the Seychelles have their own tortoise pen, including Constance Ephelia and Le Domaine de la Reserve, but if you fancy seeing wild tortoises, venture to Aldabra in the Outer Islands. I’ve been an avid cyclist since I was three, so you can imagine my delight when I realised that cycling is one of the best modes of transport in the Seychelles. 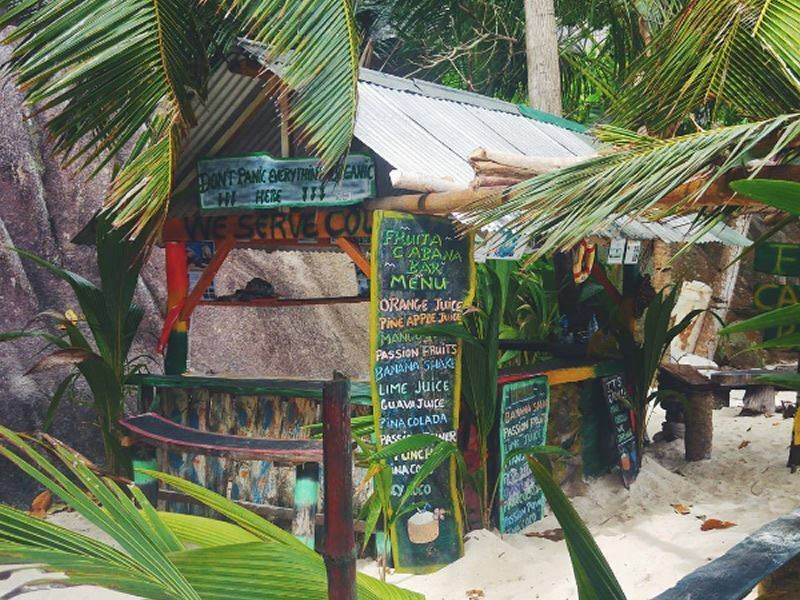 That’s why I loved La Digue – with only 25 motorised vehicles on the whole island, locals and tourists regularly whizz through the vibrant streets on two wheels. The Creole village right on the beachfront offers a brilliant, lively backdrop for an afternoon of cycling – oh, and be sure to park your bike outside Fish Trap and tuck into a hearty helping of jack fish. For a more scenic, jungle-clad ride, hop on your complimentary bike at Denis Island – we followed the route that takes you through the whole of the island, and it was nothing short of spectacular. Now, I can’t write about the Seychelles without mentioning the beaches. It’s safe to say that the Seychelles are home to some of the world’s most striking beaches – many are unspoiled, and grace you with a picture-perfect view of pristine white sands, bright blue waters, and swaying palms. Anse Source d'Argent on La Digue is truly jaw-dropping – you can certainly see why this particular stretch of beach is one of the most photographed and filmed in the world. Gigantic granite rocks frame Anse Reunion in a remarkable manner, offering beach goers plenty of secluded bays and coves to nestle in the sand and soak up the sun for a few hours. The beach is near-on undeveloped, save a couple of rustic wooden tiki-style huts selling fruity cocktails, and so the ambience here is soothing and tranquil. We spent a couple of hours here, lying under large palm trees and listening to the waves gently lapping on the shore. 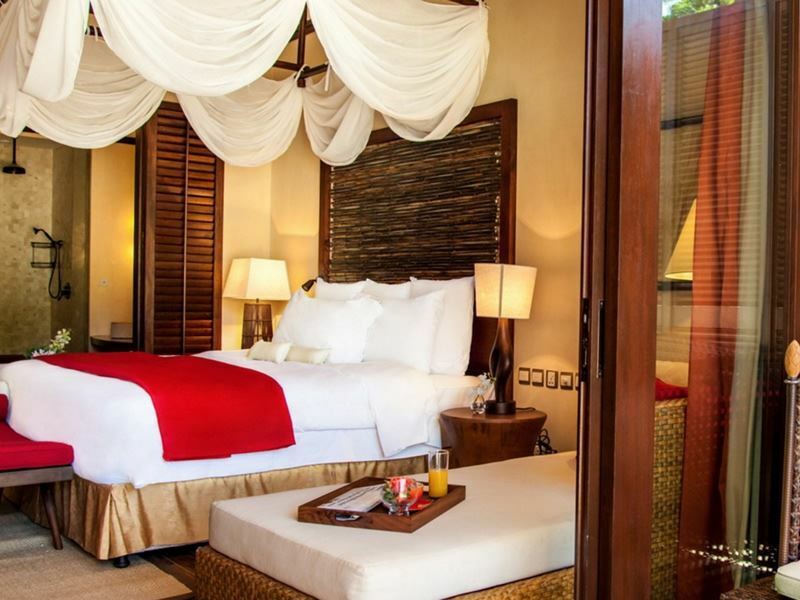 If you fancy discovering the Seychelles’ heritage and experiencing something a bit livelier (yet still pretty quiet compared to London’s standards), pay a little visit to Beau Vallon and the capital city of Victoria. Nestled in northwest Mahé, Beau Vallon is a brilliant base for snorkelling and diving, and the local restaurants here are well worth a visit. Sneak a taste of traditional Creole food at La Plage Restaurant, sitting prettily above the shore, or devour a delicious authentic pizza at Baobab – a favourite with the locals. This gorgeous beach is close-by to many of Mahé’s luxury hotels, including H Resort Beau Vallon - only a mere 10 minute beach walk from the popular area – so if you enjoy exploring outside of your hotel, this is a good spot to book near. As far as capital cities go, Victoria is a very quiet one - but it’s steeped in history and culture. While away an afternoon by wandering around its tranquil streets, looking out for its little charms including the mini statue based on Big Ben – we were surprised at how dinky it was – as well as the Victoria Botanical Gardens, and the nearby gallery showcasing local artist Georges Camille’s work. Saturdays are the liveliest of days, the Sir Selwyn Selwyn-Clarke Market filling the streets with fresh fruit, fish, and homemade souvenirs. You definitely won’t want to miss trying fish dishes in the Seychelles – especially the red snapper. 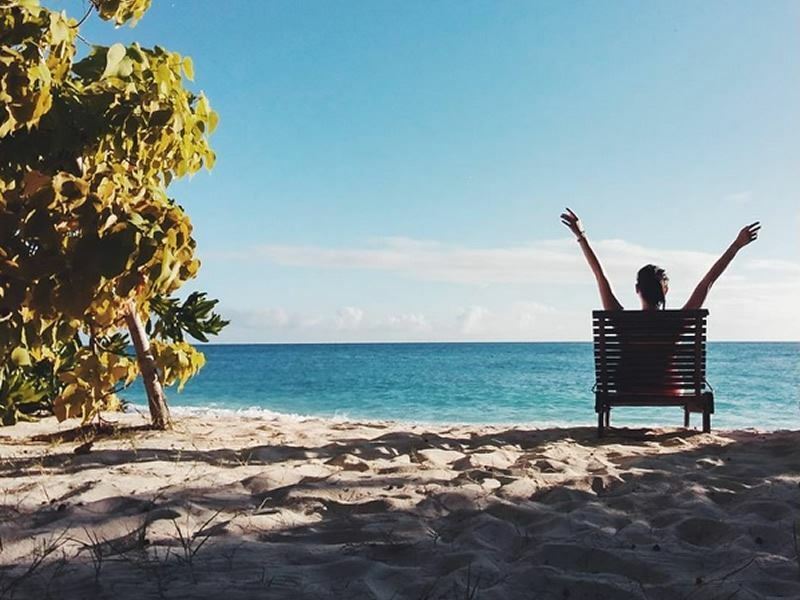 Whether you fancy adopting the barefoot island lifestyle of just relaxing and taking in the views, or adding a bit more pizzazz to your stay with some water sports and nature trails, the Seychelles has the perfect landscape for you.